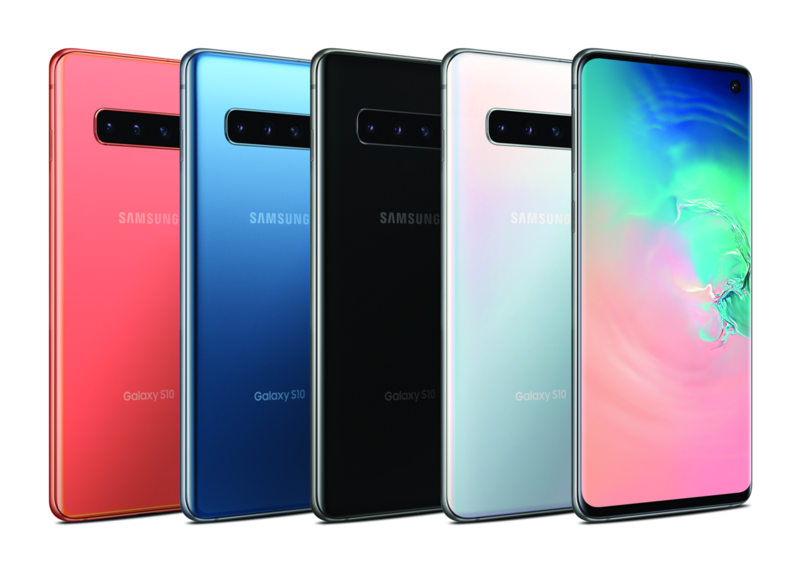 With its display covering almost the entire front surface, the Galaxy S10's design aims at being simple and clutter-free. Samsung's software, on the other hand, isn't necessarily popular for being sleek, as it noticeably changes Android's classic look and feel. The company has further customized its interface with the recent release of One UI, which looks nice, albeit different from the OS' standard appearance. Galaxy devices also come with extra apps, which are often useless and end up taking additional space. The latest flagships will be no exception as they'll come preloaded with McAfee's anti-malware bloatware. 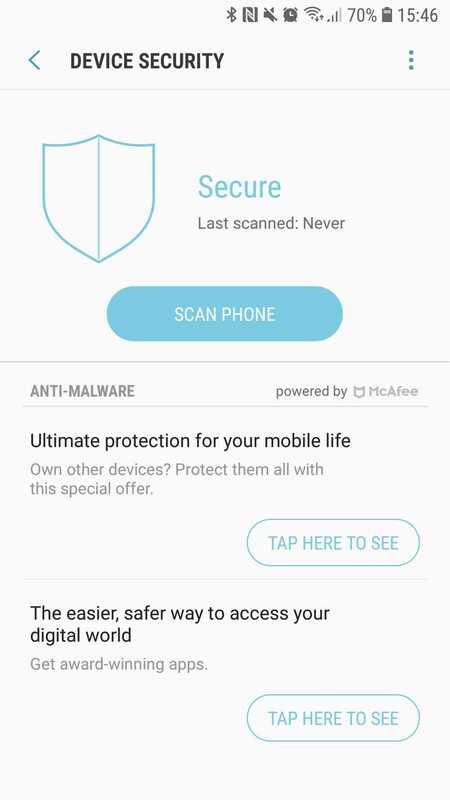 The feature isn't a novelty brought by the S10 lineup, as Samsung Experience has been shipping with McAfee VirusScan for years. It was actually concealed in the Device Maintenance menu and was deactivated by default, although the phone would prompt you to turn it on. This is no different on the S10, as the functionality can be found under its Device Care -> Security menu. Similarly, the new Galaxy handsets will receive Samsung's Secure WiFi service, which essentially uses McAfee's infrastructure to encrypt data shared on wireless networks. You get only 250 MB of monthly volume for free, though additional daily and monthly plans are available at a premium. However, this functionality will only be available for certain customers, including T-Mobile and US Cellular users in North America. Even though these additional functionalities are turned off by default and don't necessarily slow down your phone, I doubt there's a high number of people using them. It would have been better if they weren't preinstalled and could be downloaded after a prompt. 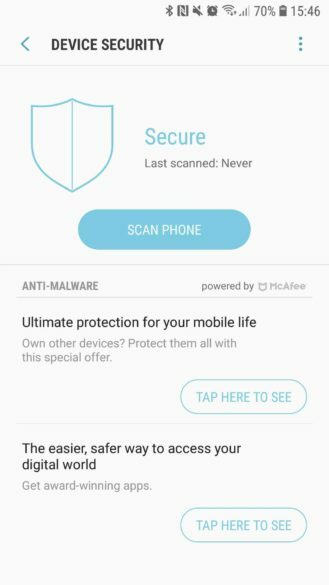 Lastly, note that some carriers have removed McAfee's protection from their firmware... and replaced it with their own, which may explain why your Samsung device doesn't have it.